Get your 2018 off to a great start by coming along to the latest free ‘Northern Writers Reading’ author talk in Marsden Library, January 15th, doors open at 7.00 and the talk will start at 7.30. 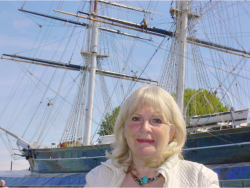 Marsden-based historian, Jo Stanley, will be reading from and discussing her latest book, ‘Women and the Royal Navy’, published in November 2017. Many of you will remember Jo’s last visit, so you’ll know we’ll be in for a memorable and stimulating evening. As nurses, `Jenny Wrens’, and above all as wives and mothers, women have quietly kept the Royal Navy afloat throughout history. From its earliest years, women maintained homes and families while men battled at sea, providing vital support behind the scenes. Later they also ran maritime businesses and worked as civilians in naval offices and dockyards. From 1884, women were able to serve as nurses in the Queen Alexandra’s Royal Naval Nursing Service and, from 1917, they became members of the Women’s Royal Naval Service. The outbreak of both world wars gave women special opportunities and saw the role of women as Wrens, nursing sisters, VADs and medics change and develop. In more recent times, the development of equal rights legislation has fundamentally changed naval life: women are now truly in the navy and do `men’s jobs’ at sea. 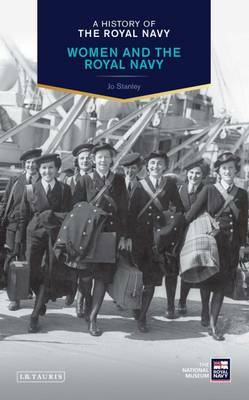 Using previously-unpublished first-hand material, this is the first book to reflect all the diverse roles that women have played in Royal Navy services. Jo Stanley situates women’s naval activities within a worldwide context of women who worked, travelled and explored new options. This book provides vital new perspectives on both women’s military history and the wider history of women who desired to work on or near the sea, including female doctors, dentists, wartime VADs, and above all the modern women sailors who are now moving towards becoming admirals. Jo lives in Mount Road, Marsden and is an active volunteer with the Jazz Festival and the plant group at the National Trust. On the rare occasions when she’s not writing she’s creating stitched historical works, especially as a member of the Fabric of Protest group at Manchester People’s History Museum. Her website is at www.jostanley.biz. Listen to Jo reading from her book, and telling us about her research. There will be time for your questions, and an opportunity to buy your signed copy at the end. FREE entry, donations welcomed. Refreshments.